At the beginning of 2016 we were happy and proud to inform you that 8 new pilots joined the MXS Racing Team. One of them is Jordan AKA Jordan Power, an active member of Team Fast Power. Jordan, who has been riding an MBK Booster up until now, decided to ride an MBK Stunt with Ovetto crankcase for Maxiscoot; the ambitious custom project was supported and assisted by mechanic Alex Jouen. 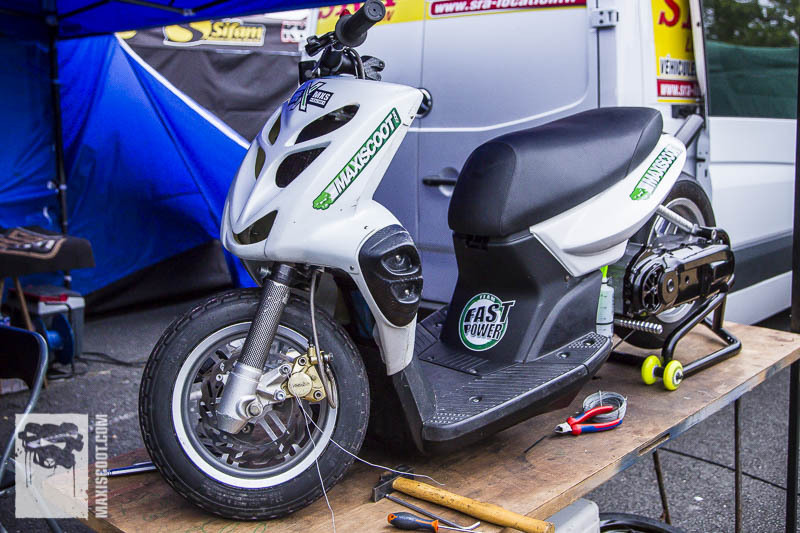 Here’s the result – a scooter destined for the racetrack! Jordan rode his tuned custom scooter at the Fifty Race Wild #1 for the first time. After several test starts, some getting used to the new engine and some minor final readjustments to the set-up, Jordan was eventually able to go full throttle and run the new MXS Racing 94cc cylinder up to top speed. The 1st test run was very successful, with Jordan coming in 3rd at the Labarde dragstrip in Bordeaux in the S5 class over 200 meter: 7.547 seconds – top speed 136 km/h! The fantastic result encouraged Jordan to push his Stunt even more at the ScooterPower Weekend 2016. As important as maximum performance is for Jordan, he also sets great store by the looks of his vehicles and takes care of even the smalles details. 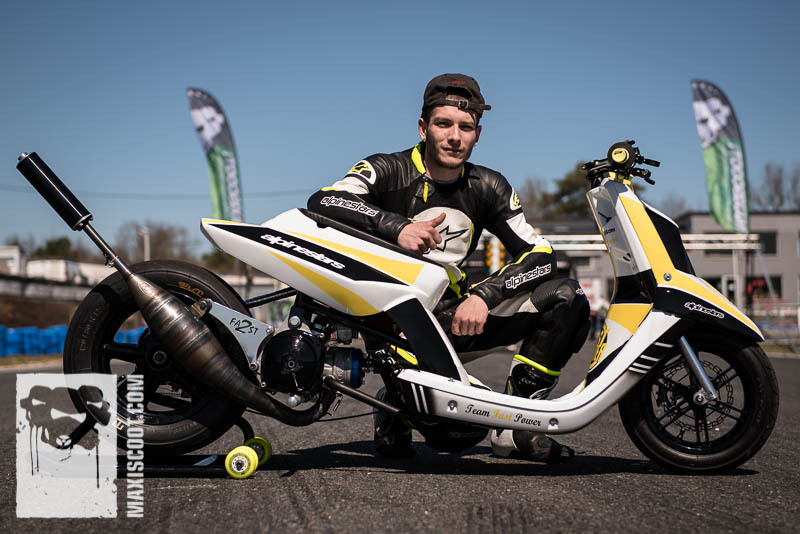 To see how much effort he’s willing to put in, take a look at his Booster 2Fast Alpinestars that won the Best Design award at the Scooter Customshow 2016. As a matter of course, Jordan intends to spend just as much time and effort on his new Stunt. This is why he took the Belgian Custom Cleaned team, known for their awesome custom projects, on board to ensure that fairing parts and rims would turn out perfect. All the parts are in the process of being finished, but we are sure they’ll turn out stunning as you can see on the pictures below. In case you want to see the finished project from close up, just come to Salbris on July 9 and 10!